I couldn’t be happier to have found Spin Sity. I have been performing in one way or another since elementary school but since finishing college, working full time, getting married and having a child, there wasn’t a ton of time for doing what I love. I started taking classes at Spin Sity and knew right away it was for me. It’s fun, a great workout, and makes me feel like myself again. A lot of moms can relate to feeling awkward and unsexy after having a child and I definitely felt that way for a long time. 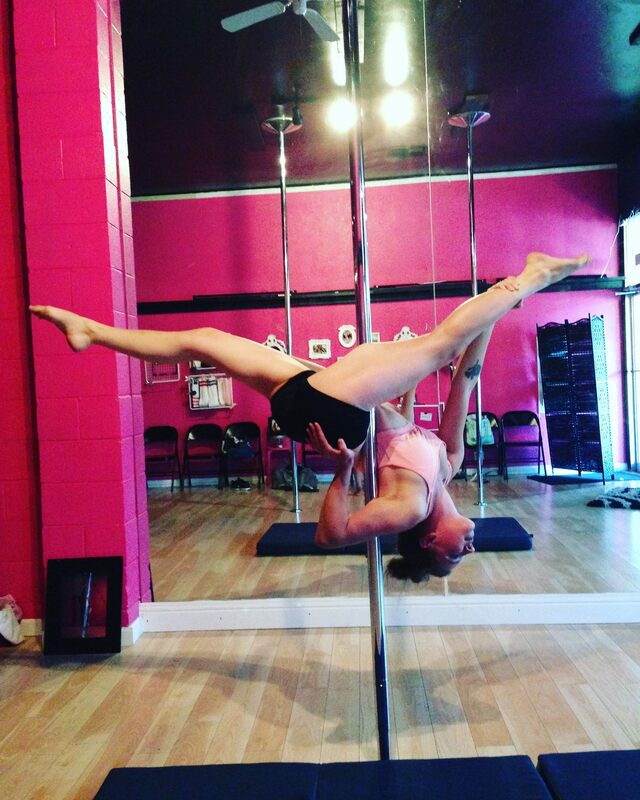 Participating in pole fitness has made me appreciate myself again, boost my confidence and feel like I can accomplish things that seem out of reach. I never knew my body was capable of the strength and flexibility it takes to do some of the amazing tricks I’ve learned at Spin Sity. The instructors are awesome and have made me feel comfortable and safe when trying something new. It’s a great place to explore a new skill and learn a lot about yourself. 1) I am a mom to the light of my life, my 18 month old daughter. 2) I’m married to the love of my life, my supportive husband. 3) I’m an amateur photographer but dream about going pro someday. 5) I’m from Grass Valley, CA originally, moved to S.F. after college and finally settled in the East Bay after meeting my husband.